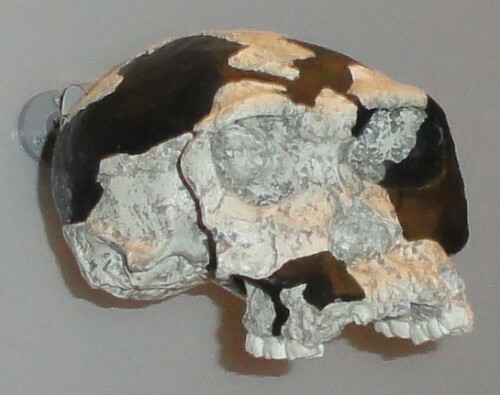 Home Habilis: The Ultimate Transitional Species? Homo habilis is a perfect species to talk about for this web site. It is clearly a transitional fossil, but it also illustrates the incredibly difficulty of taxonomy. Contrary to anti-evolutionist claims, life rarely falls into neatly-defined groups. 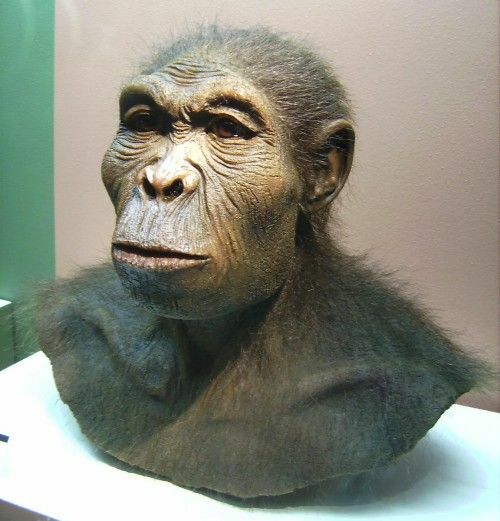 Scientists are divided over whether the skulls currently classified as H. habilis should be divided into two species, the other being called Homo rudolfensis. This site explains the debate, but basically habilis skulls vary from 500 to 800 cc in brain capacity. This is a huge variation, and the larger craniums come with thinner bone above the eye sockets and a longer face. It's a simple function of science and a limited amount of fossils that there will be debate. Are there two species, Homo habilis and rudolfensis, or are these differences between males and females? Simply put, we don't know. So is this a strike against evolution? Far from it! If there are two species, they are so similar that they could be confused. The smaller craniums come with features so different from modern humans that some scientists don't think they should be in the Homo genus. However, they are so dissimilar from Australopithecus that they can't fit the Australopithecine definition, either. A perfect intermediary, found at the right strata, dated to the right time periods, living in the right geographical location, and that is true whether it is one species or two. One fossil has a foot, so we know that it's big toe was fully abducted (pointing straight forward). It had a large anchor on the leg for the tibialis posterior muscle, though, so Homo habilis was probably a good climber. It's brain-size, as said, varies from 500 to 800 cc. In comparison, chimpanzees average about 400 cc, and humans average about 1300. 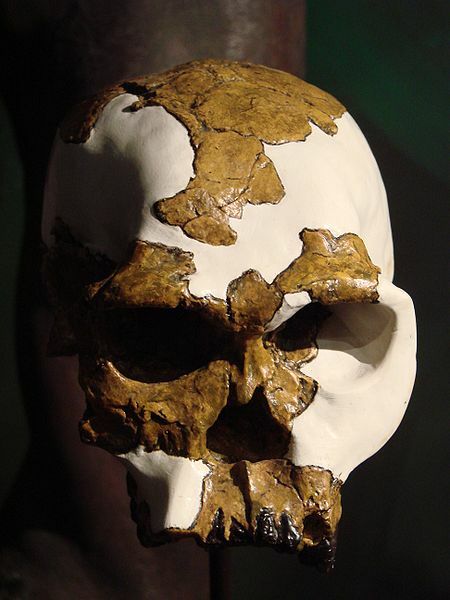 It's very hard to get scientists to agree on which skulls are Homo habilis. There are a couple older ones that many scientists want to attribute to Australopithecus robustus or africanus, but brain-size is an issue. One newer fossil is argued by some to be Homo erectus. To put it as simply as possible, habilis bridges the entire gap between the Austrolopithecines and Homo erectus both in brain-size and time. This species, or these species, whichever it is, walked the earth with both the Australopithecines and Homo erectus. One intriguing and important issue is that one skull clearly shows the casing for "Broca's area" in the brain, which is associated with speech in modern humans. The several (eight, according to anthrosite.com) habilis fossils have all been found in Kenya and Tanzania. There's an excellent and more in-depth analysis of each of these fossils at archaeologyinfo.com. Finally, a set of tools used by Homo habilis has also been found, called the Oldowan tools. These include stone flakes, rounded stones, and bones used for digging. Animal remains have been found associated with these tools. In 1963, Louis Leakey found a nearly complete Homo habilis skull now known as OH 16. It was near the end of the day, however, so they simply marked off the area and went back to camp. The next day they were horrified to find that a herd of cattle had charged through the area, trampling the skull in the process. Scientists have only managed to reassemble the top of the cranium.